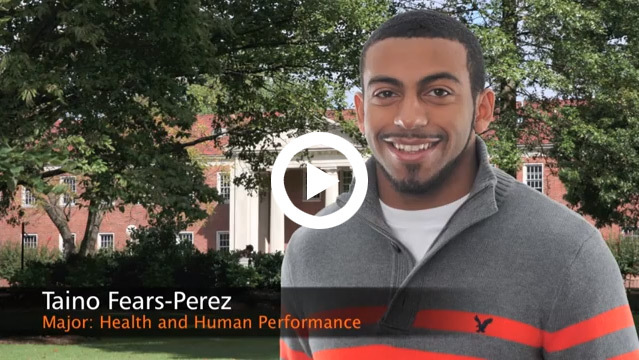 For University of Tennessee at Martin student Taino Fears-Perez, of Knoxville, UT Martin has opened doors academically, athletically and with community service. 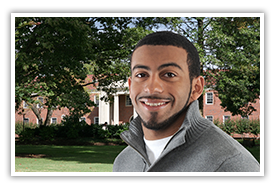 Having lived in several large cities growing up, including Washington, D.C. and Knoxville, Fears-Perez was skeptical at first of the small town of Martin, but following a campus visit, he knew it was the right place for him. Fears-Perez’s teammates were members of the UT Martin football team, on which he played until an injury last fall. But the football program is still a large part of his campus life. “I actually tore my ACL as we played [Southeastern Louisiana University], and that was probably my best game since I’ve been here … but actually it all worked out because I got my medical redshirt, so I still have three years left to play football,” he said. Fears-Perez is well traveled, having lived in Guam, Orlando, Fla., and Washington, D.C., as a child, and he also developed his love for football at a young age. Fears-Perez has also been able to turn his attention to academics where he is a health and human performance major (HHP), and hopes to attend graduate school upon completing his bachelor’s degree. “I chose HHP because I felt like, because I do play football, it would give me the opportunity to continue to work around the sport,” he said, adding that he is pursuing a business administration minor to help realize his dream of eventually owning a sports training facility. His HHP classes have also assured him that he is on the right track. “I really enjoyed Scott Pun’s class,” Fears-Perez said. “It was a lot of hard work but it reassured me that I was getting into the right field.” Pun is a faculty member and lecturer in the Department of Health and Human Performance. But UT Martin has also provided Fears-Perez a valuable community service opportunity, which he takes seriously. He is highly involved in the Pigskin Pals program, through which he visits a local elementary school classroom twice a month and mentors one student once a week. He said that 30 to 40 players visit a classroom at least twice a month, others personally mentor a child, and he chooses to do both as he mentors an elementary school student.